Tirzah has been generating buzz in her native UK for quite some time. On her debut LP, Devotion, she’s sure to pick up quite a few new global admirers. 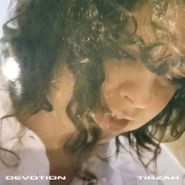 Tirzah belongs to the new school of near lo-fi, raw, vulnerable, dark underground R&B and the tracks here paint an intimate, unfiltered view of modern romance. The album was created in conjunction with longtime friend Mica Levi, known for Micachu & the Shapes, as well as soundtracks for Under the Skin and Jackie. Listening to Devotion is an intense, introspective experience, melancholy and euphoria sitting beautifully side by side.